Packing for vacation stresses me out to the nth degree. My mind goes through all the variables: What if it rains? What if we go somewhere fancy? What if we spontaneously decide to go mountain climbing? Plus, I hate overpacking for no other reason than I have to subsequently unpack all the unworn items I threw in at the last second. That eats into valuable time I could spend answering emails in a sheet mask at the foot of my bed. Or, you know, sleeping. But because I work with such fashionable ladies, I decided to see if they have identified the perfect formula for a summer vacation outfit. Check out the 15 foolproof pieces we’re packing for our next getaway. 1. Emme Parsons Certo Mule: A black patent mule goes with everything, full stop. I’m already a huge fan of Emme Parson’s Susan sandal, so naturally I need everything from her new fall collection. I love the twist on the classic Mary Jane with this Certo pair, and a comfy style with just a hint of a heel is a must for traveling. 2. 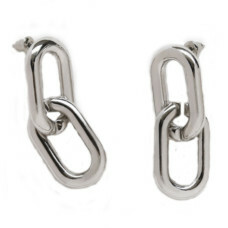 Common Muse Greta Chain Earrings: These earrings are so clutch—I bring them on every single trip. Even though they’re chain-link, the interior is hollow, so they’re super light and comfortable. I rock them with everything from jeans and a tee to a slip dress, and I love that they don’t look super precious for being statement earrings. 3. Ganni Silvery Crêpe Printed Dress: Copenhagen Fashion Week is right around the corner, which reminds me that I need some more Ganni pieces in my life. 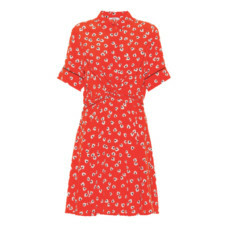 I’ll wear a collared shirt no matter the time or place, meaning a dress version in an eye-popping print is a must for travel. Depending on my makeup and hair look, I could rock this entire outfit from breakfast to after-dinner drinks, and therefore have much more room in my suitcase for beauty products. 1. 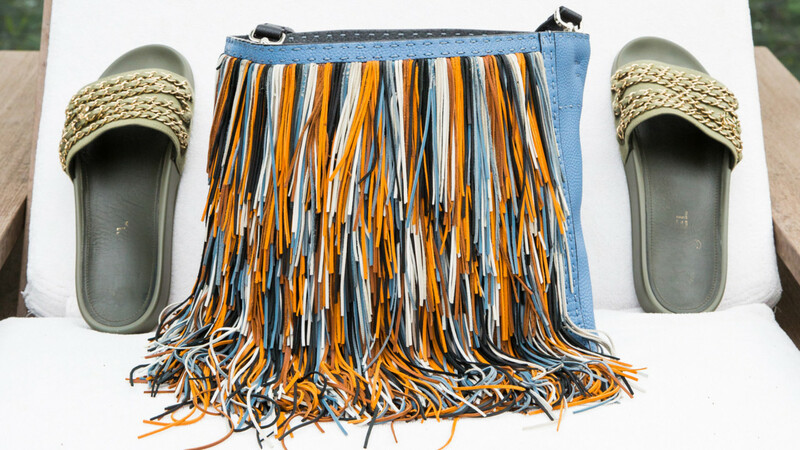 Yanomami Canvas Clutch: This canvas clutch is perfect for when you’re on vacation but don’t want to bring a big straw bag. The designer Alexandra Possenti lives in Tulum and makes them with indigenous women in Venezuela. Best part is that all designs are handmade using ecological materials. It’s super easy to pack and complements any vacay look. 2. 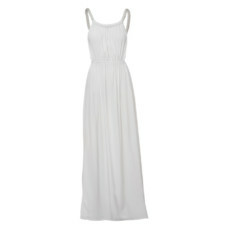 Les Filles Du Nord Eloise Dress: You can never go wrong with a white dress on vacation. My wardrobe is pretty much all white, so I like to have the dresses look different but still classic. Les Filles does an amazing job at vacation dresses, but more importantly, making pieces like a white dress so unique and different. You can wear these with sandals, espadrilles, even tennis shoes, and explore whatever beach town you’re in! 3. Stylenanda Strappy Black Heel: I’ve been obsessed with this website ever since setting foot in Asia. I love the simplicity the site offers, and I’m even more in love with the multiple shoe options. The strappy black heel is perfect for walking around during the day and going out all night (dancing anyone?). I love the good-quality material for the good price. The only shoes I need for a vacation! 1. MM6 Maison Margiela Printed Satin Bomber Jacket: A black satin bomber is an absolute must-have for any vacation. The design I can’t live without is actually one that I practically stumbled upon while browsing the bustling Tokyo fashion districts, but this Maison Margiela number is just as chic. I wear mine to dinner over a girly dress, with jeans and a white tee to add something a little extra, or I’ll even throw it over a workout ensemble after the gym or during a light hike. 2. 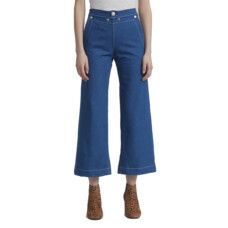 Rag & Bone Seamore Jean: I’m a very recent convert to the flared jeans entourage, but now I can’t seem to get enough of wide-leg denim. I love how you can dress them down with sneakers during the day and slip on a pair of mules to elevate them to evening attire. When it comes to packing for vacations, versatility is key, and these flared jeans are essentials that will suit you no matter the time of day. 3. 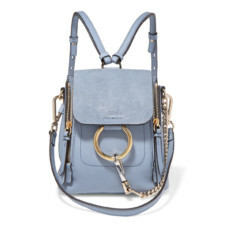 Chloé Faye Mini Textured Leather and Suede Backpack: When given the choice, I’ll wear a backpack over a crossbody any day, especially on vacation. This Chloé backpack can fit all of my daily essentials while I’m exploring a new city, yet its baby size makes sure it’s not too overbearing while I’m on the go. It’s adorable, it’s adjustable, and it’s hands-free—perfect for a spontaneous shopping trip. 1. Jade Swim Apex One Shoulder Swimsuit: What I’ve learned from traveling for work is that you always need to pack a bathing suit. You never know when you’ll be able to fit in a pool session or squeeze in a dip in the ocean. For this reason, I always pack a chic, classic one-piece. 2. 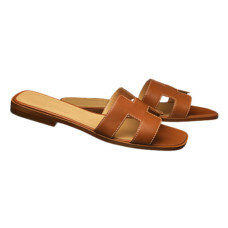 Hermès Oran Sandals: As much as I love designer pieces (and I do mean love), I rarely buy them at full price. I’m an avid eBayer and, like most of you, take advantage of a good sale. 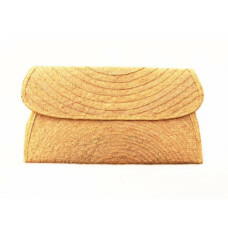 But sometimes an item is so good that it warrants a big spend, and Hermès Ora sandals were that for me. I recently threw down my credit card for these babies at a layover in Amsterdam, and it was the best decision I ever made. They go with practically everything. 3. 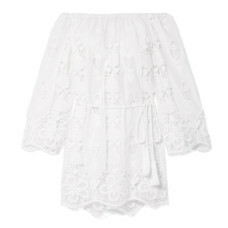 Miguelina Brigitte Crochet Mini Dress: As you can tell, I’m inclined to book a beachy spot for any OOO I can get. And because I plan to plop down with an icy bev and a good book near any body of water, a really pretty cover-up is a necessity. 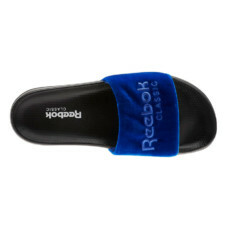 1.Reebok Royal Classic Slide: Me wearing sandals is a rare occurrence—I’m talking maybe four-times-a-year type of rare. Except when I’m on vacation. If I’m staying anywhere even remotely close to a beach, you can guarantee that I’ll be there at least once a day...wearing sandals. These Reebok slides are perfect for slipping on and off, and the blue matches all of my bright-colored bathing suits perfectly. 2. Fella Yellow Mr Ripley Top: It’s no news that I’m addicted to the color yellow. As soon as I came across this Fella swimsuit (I also own the matching bottoms), it was already a done deal. I love the wrap detailing, as it adds a little something extra (you just have to be aware of tan lines). 3. Maison Miru Infinite Ear Cuff: No good beach day is complete without a good selection of jewelry, IMO. I like to stack my fingers full of rings and pay the same amount of attention to my ears. 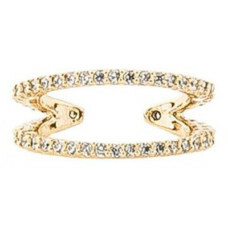 This cuff is perfect, as it almost looks like two and gives off the perfect amount of sparkle.